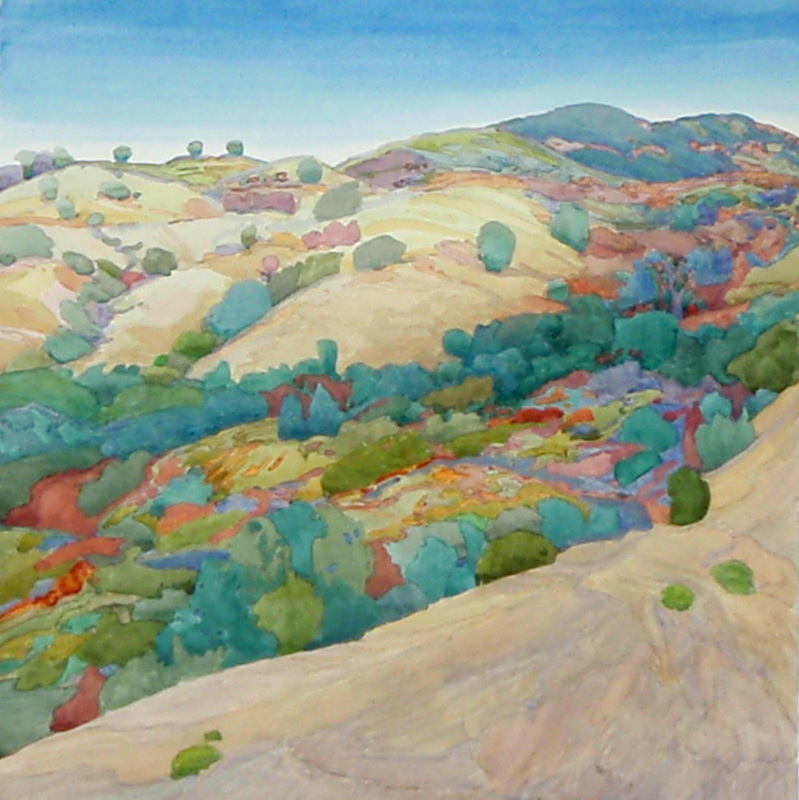 The Annual Signature American Watermedia Exhibit in Fallbrook runs February 3rd to April 15th, 2018, and “Just Below Junction” painted on Mount Diablo was selected. 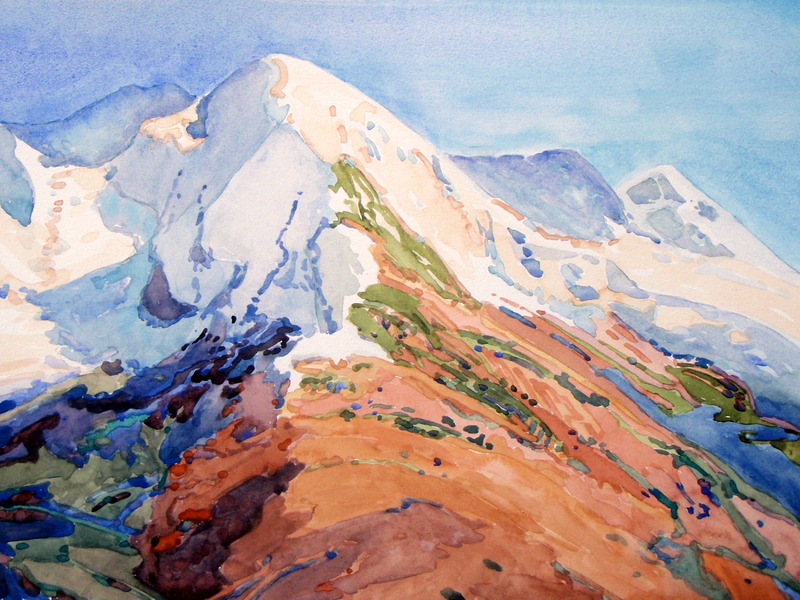 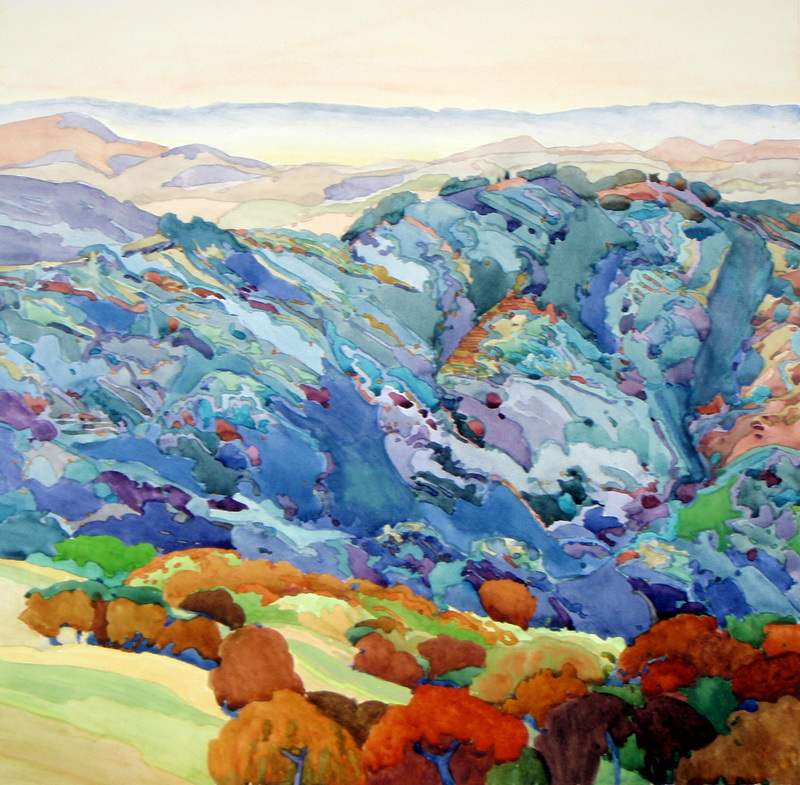 The California Watercolor Society’s Annual National Exhibit includes “Blue Ridge” painted on North Gate, Mount Diablo; the exhibit is at the Marin Society of Artists through January 31st. The American Impressionist Society National Small Works showcase takes place at the Greenhouse Gallery in Cincinnati, Ohio, March 23 – April 21, 2018, and includes “Peak Near the Eiger”. 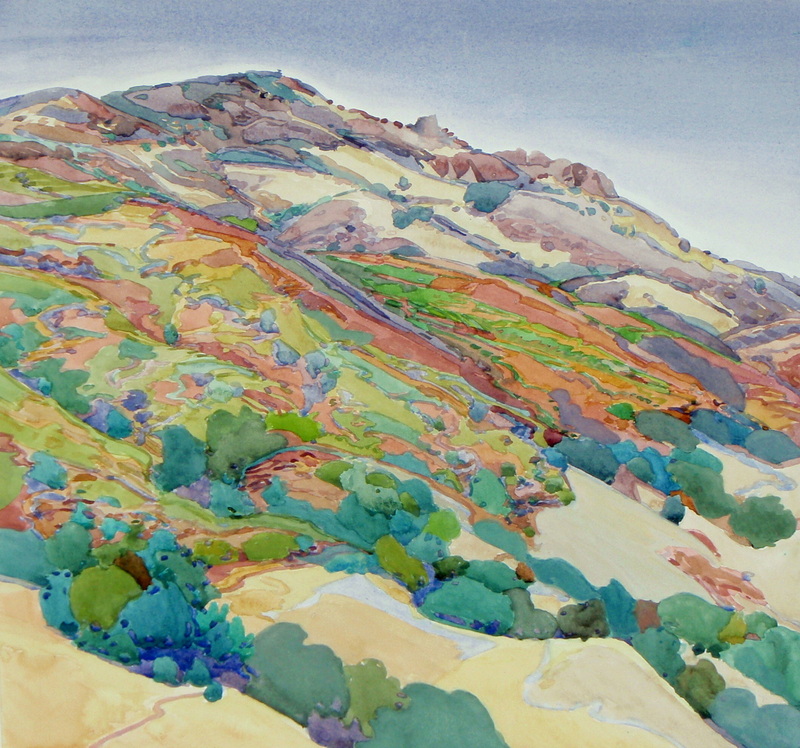 Robin describes The American Watercolor Society International Exhibit as the most important watercolor exhibit in the world and will be on exhibit at the Salmagundi Club in New York, April 4-28, 2018, and will include her Mount Diablo painting “Curry Point November”.